California is where people come from all over the world to pursue their dreams, whether in Hollywood, the Silicon Valley, or the fields of the Central and Napa valleys. Our Golden State holds the vision of possibility – invention, innovation, and advancement. 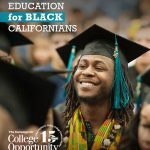 In the next 12 years, California will need to produce 1.65 million more college credentials, and we are not on track to get there. 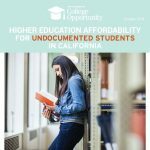 Our higher education system has not kept pace with changing workforce demands or the needs of California’s racially diverse population. 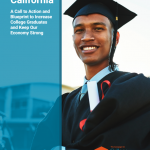 Fewer than half of adults in California have a college credential but by 2030, 60% will need a college education to meet workforce demand and racial equity gaps will need to be entirely eliminated. 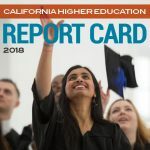 In the next 12 years, California will need to produce 1.65 million more college credentials, and we are not on track to get there. 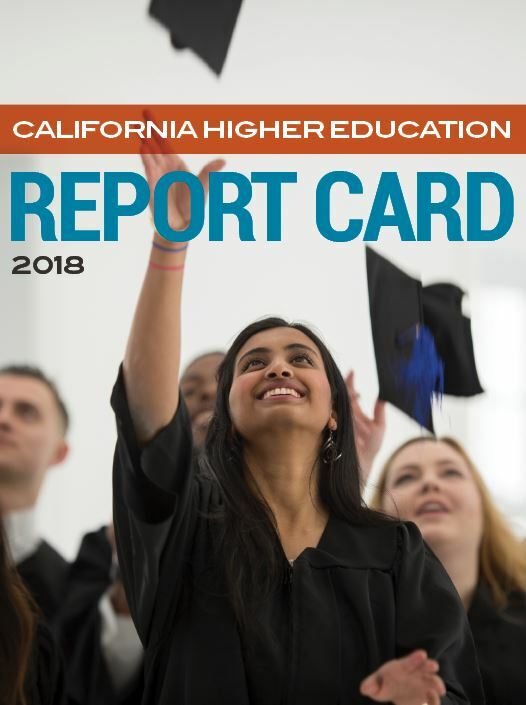 Our 2018 California Higher Education Report Card is a snapshot of California’s performance in college preparation, access, affordability, and completion today compared to where we need to be in 2030. The grades reflect progress toward a 60% college attainment goal and progress toward eliminating the racial equity gaps by 2030. 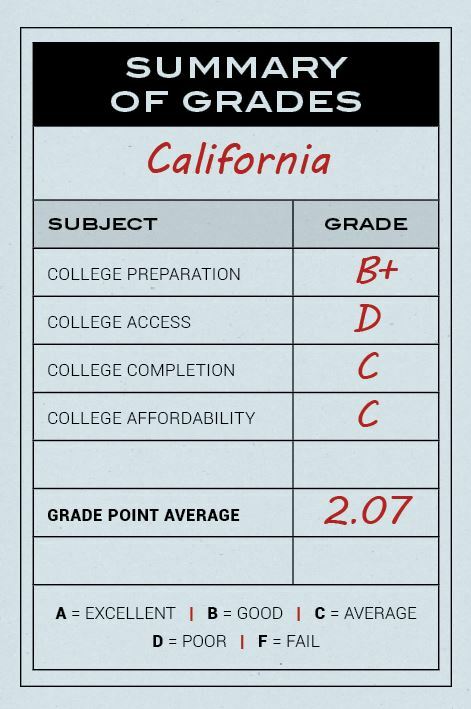 Across all indicators, California earns merely average grades and is far from preparing the state to meet the demands of students and the workforce. 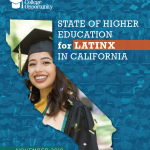 We envision a California where all students, regardless of race, ethnicity, income or ZIP code, have the skills and education they need to be upwardly mobile, participate in the workforce and contribute to civic life. 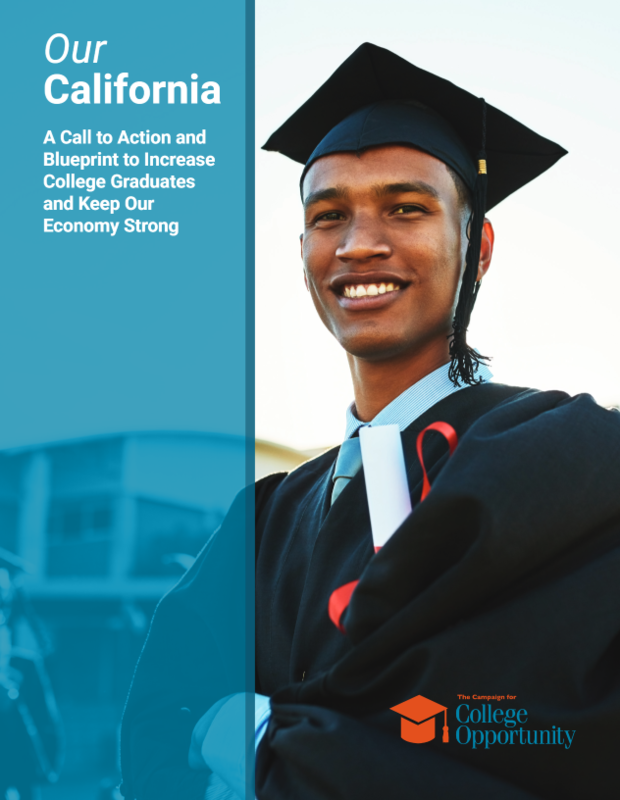 The next Governor of California must make the necessary investments and be committed to implementing bold reforms to California’s higher education systems to ensure that all students can succeed and that our state thrives. Using your phone or tablet? Click here to sign on! The Campaign for College Opportunity was proud to host a Gubernatorial Forum on Higher Education featuring Lt. Governor Gavin Newsom and secure responses to On the Record from the Governor-elect. We also hosted a Lt. Governor Townhall on Higher Education featuring Lt. Governor-elect Eleni Kounalakis. We owe a special thank you to our co-hosts and student leaders from the University of California Student Association, the California State Student Association, and the Student Senate for California Community Colleges, who asked each candidate pertinent questions on college affordability, access, racial equity, faculty diversity, and improving pathways from community colleges to universities.